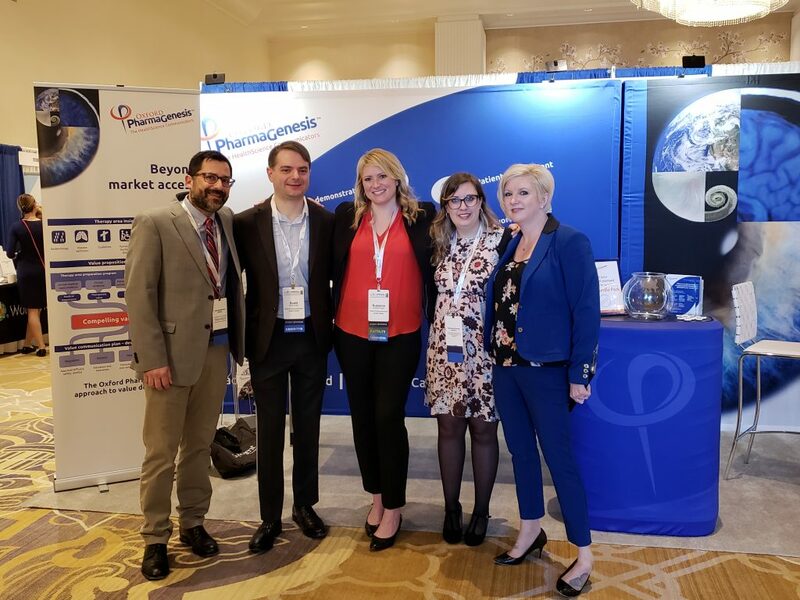 Oxford PharmaGenesis had a powerful presence at the 14th Annual Meeting of the International Society for Medical Publication Professionals (ISMPP) in National Harbor, MD, USA, April 30–May 2, 2018. 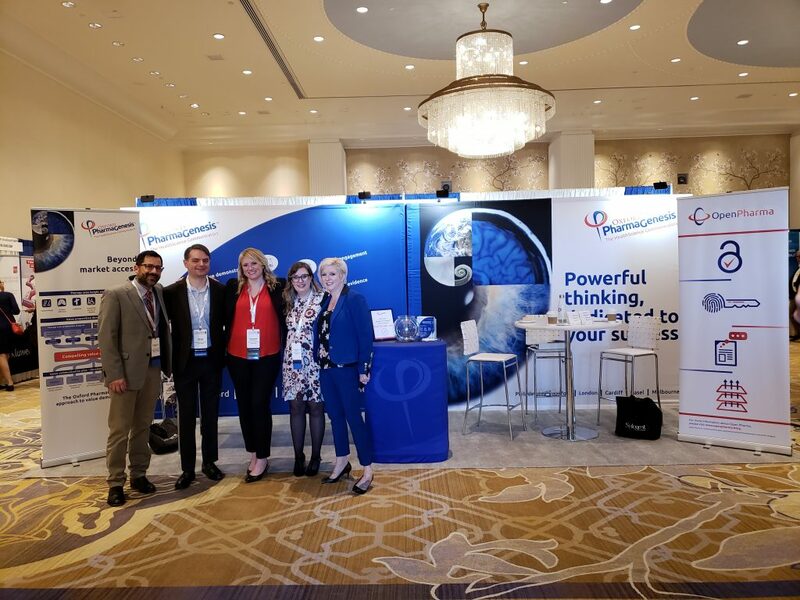 Members of the Digital, Open Pharma, Value Demonstration and Patient Engagement practices all played an active role in the sessions, as well as presenting five research posters. Later that day, Heather Lang presented her ground-breaking research on the use of preprints by the pharmaceutical industry. “We were surprised that, even now, around 1% of preprints on bioRxiv have a top 50 pharma author,” she remarked. The Open Pharma team also led the open access panel discussion on Wednesday, titled ‘Increasing speed, efficiency and transparency in medical publishing through open access’. 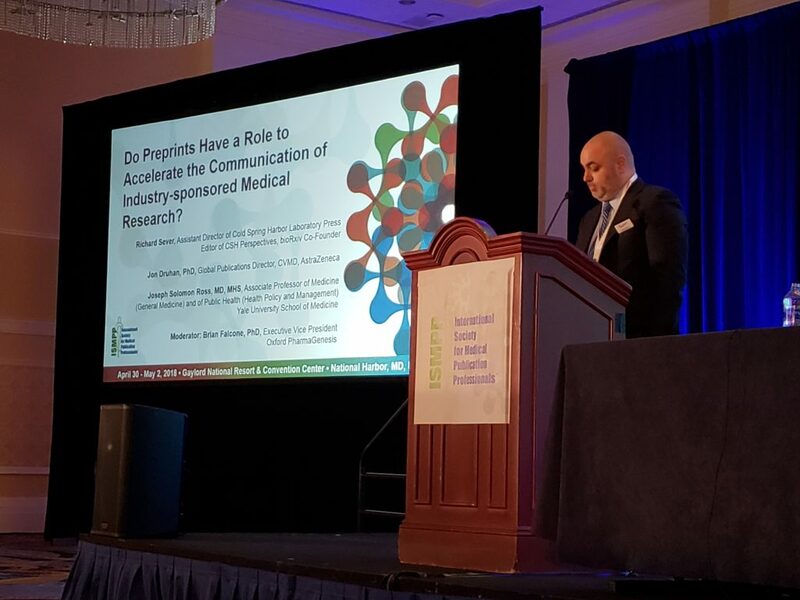 This is a “really hot topic – everyone’s talking about it” according to LaVerne Mooney (Pfizer), who moderated the discussion among representatives of key stakeholders − Maria Alu (Columbia University Medical Center), Valerie Philippon (Shire) and David Sampson (ASCO). 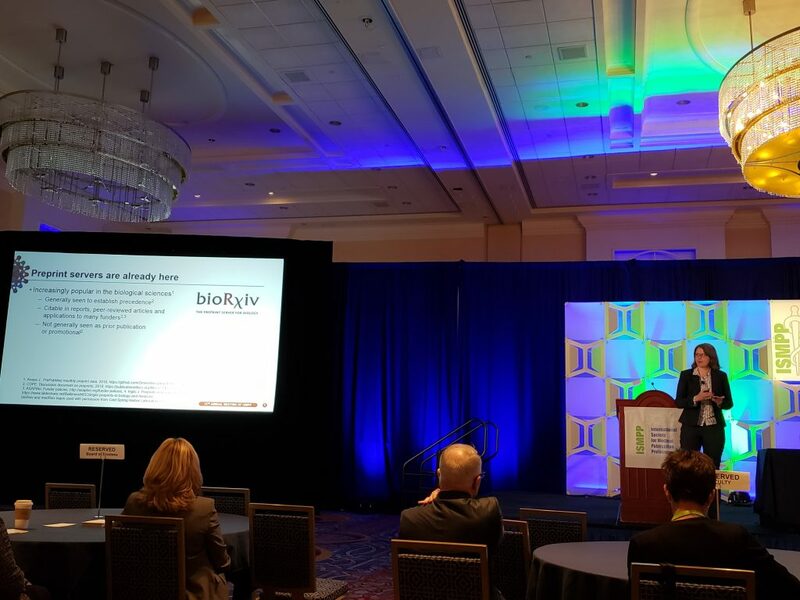 The Open Pharma mission to help the industry thrive in an era of increasingly open science stimulated some highly energetic discussions both on and off stage! Another workshop, ‘Communicating product value: HEOR for the publication professional’, and a roundtable session were supported by the Value Demonstration Practice. Jake Willet, the Oxford PharmaGenesis Senior Consultant who co-facilitated the workshop, was extremely encouraged to see “so many publication professionals interested in learning more about HEOR, and how to work more effectively with their HEOR colleagues”. Later, Tom Rees, Communications Director at Oxford PharmaGenesis, co-presented to a packed session on lay summaries for biomedical journals. With open access becoming increasingly common, he emphasized the importance of ensuring that medical publication professionals consider the patient audience. The new research projects presented by Oxford PharmaGenesis further supported the company’s position at the leading edge of developments in publications. Topics included digitally enhanced content, ORCID implementation, access restriction to commercially funded research, the effect of open access and article impact, and awareness of publication professional initiatives at the Peer Review Congress.